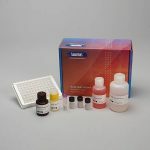 The Salimetrics C-Reactive Protein ELISA Kit is an enzyme-linked immunoassay specifically designed and validated for the quantitative measurement of salivary CRP. It is not intended for diagnostic use. This assay kit was designed and optimized for salivary research use in humans. Salimetrics has not validated this kit for serum, plasma or saliva samples from any other species. C-Reactive Protein (CRP) is the best-known member of a group of acute-phase proteins, which increase their concentrations during certain inflammatory disorders. CRP is widely used as a bio-marker of inflammation in the body. Most CRP is produced in the liver, and increased production during the acute phase is induced principally by the cytokine interleukin-6 (IL-6), operating primarily at the level of transcription. IL-6 is released by a variety of tissues, including activated leukocytes, adipocytes, and endothelial cells. In turn, CRP is capable of binding to and modulating the function of monocytes, enhancing their capacity to produce inflammatory cytokines, including IL-6. CRP binds to phosphocholine, a common constituent of polysaccharide coatings of bacterial pathogens and of cell membranes. 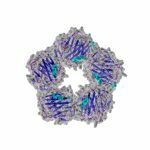 This allows it to function as an opsonin, facilitating phagocytosis of pathogens and dead or dying cells. Other functions of CRP include activating the classical complement pathway, activating macrophage tumoricidal activity, and protecting against septic shock. CRP levels in humans are normally quite low, but they increase several hundred fold during the acute-phase response. Elevated serum CRP levels have been associated with the presence of cardiovascular disease. Numerous recent research studies investigating serum CRP and its relationship to other diseases have also been carried out. These include hypertension, diabetes, cancer, and autoimmune disorders. Recent literature suggests possible links between oral health and chronic infection, inflammation, and heart disease. Studies have also linked elevated serum CRP levels to oral contraceptive use. Recent studies have begun to examine the relationship between salivary and serum CRP. One study reported a moderate to strong association between CRP measured in saliva and in serum, while a second longitudinal study found that salivary and plasma CRP were moderately associated cross-sectionally and across two years. This is an indirect sandwich ELISA kit. A “sandwich” is formed when the pre-coated capture anti-CRP antibody present on the plate binds CRP in standards & samples, which is then bound by the anti-CRP detection antibody linked to horseradish peroxidase. After incubation, unbound components are washed away. Bound CRP Antibody Enzyme Conjugate is measured by the reaction of the horseradish peroxidase enzyme to the substrate tetramethylbenzidine (TMB). This reaction produces a blue color. A yellow color is formed after stopping the reaction with an acidic solution. The optical density is read on a standard plate reader at 450 nm. The amount of CRP Antibody Enzyme Conjugate detected is directly proportional to the amount of CRP present in the sample. Ridker, P.M. (2003). Clinical application of C-reactive protein for cardiovascular disease detection and prevention. Circulation, 107(3), 363-9. Pearson, T.A., Mensah, G.A., Alexander, R.W., et al. (2003). Markers of inflammation and cardiovascular disease: Application to clinical and public health practice. A statement for healthcare professionals from the Centers for Disease Control and Prevention and the American Heart Association. Circulation,107(3), 499- 511. Buffon, A., Liuzzo, G., Biasucci, L.M., et al. (1999). Preprocedural serum levels of C-reactive protein predict early complications and late restenosis after coronary angioplasty. J Am Coll Cardiol, 34(5), 1512-21. Danesh, J., Wheeler, J.G., Hirschfield, G.M., et al. (2004). C-Reactive protein and other circulating markers of inflammation in the prediction of coronary heart disease. N Engl J Med, 350(14), 1387-97. Sesso, H.D., Buring J.E., Rifai, N., et al. (2003). C-Reactive protein and the risk of developing hypertension. JAMA, 290(22), 2945-51. Blake, G.J., Rifai, N., Buring, J.E., & Ridker, P.M. (2003). Blood pressure, C-reactive protein, and risk of future cardiovascular events. Circulation, 108(24), 2993-9. Dehghan, A., Kardys, I., de Maat, M.P., et al. (2007). Genetic variation, C-reactive protein levels, and incidence of diabetes. Diabetes, 56(3), 872-8. Pradhan, A.D., Manson, J.E., Rifai, N., et al. (2001). C-reactive protein, interleukin 6, and risk of developing type 2 diabetes mellitus. JAMA, 286(3), 327-34. Du Clos, T.W. Editorial: C-reactive protein as a regulator of autoimmunity and inflammation. (2003). Arthritis Rheum, 48(6), 1475-77. Krasteva, A., Perenovska, P., Ivanova, A., et al. (2010). Alteration in salivary components of children with allergic asthma. Biotechnology Biotehnological Equipment, 24(2), 1866-69. Gutiérrez, A.M., Martínez-Subiela, S., Soler, L., et al. (2009). Use of saliva for haptoglobin and C-reactive protein quantifications in porcine respiratory and reproductive syndrome affected pigs in field conditions. Vet Immunol Immunopathol, 132(2-4), 218-23. Giannobile, W.V., Beikler, T., Kinney, J.S., et al. (2009). Saliva as a diagnostic tool for periodontal disease: Current state and future directions. Periodontol 2000, 50, 52-64. Higashi, Y., Goto, C., Jitsuiki, D., et al. (2008). Periodontal infection is associated with endothelial dysfunction in healthy subjects and hypertensive patients. Hypertension, 51(2), 446-53. Miller, C.S., Foley, J.D., Bailey, A.L., et al. (2010). Current developments in salivary diagnostics. Biomark Med, 4(1), 171-89. Floriano, P.N., Christodoulides, N., Miller, C.S., et al. (2009). Use of saliva-based nano-biochip tests for acute myodardial infarction at the point of care: A feasibility study. Clin Chem, 55(8), 1530-38. Gómez-Laguna, J. Gutiérrez, A., Pallarés, F.J., et al. (2010). Haptoglobin and C-reactive protein as biomarkers in the serum, saliva and meat juice of pigs experimentally infected with porcine reproductive and respiratory syndrome virus. Vet J, 185(1), 83-7. Gutiérrez, A.M., Martínez-Subiela, S., Eckersall, P.D., Cerón, J.J. (2008). C-reactive protein quantification in porcine saliva: A minimally invasive test for pig health monitoring. Vet J, 181(3), 261-5. Tonetti, M.S., D’Aiuto, F., Nibali, L., et al. (2007). Treatment of periodontitis and endothelial function. N Engl J Med, 356(9), 911-20. D’Aiuto, F., Ready, D., Tonetti, M.S. (2004). Periodontal disease and C-reactive protein-associated cardiovascular risk. J Periodont Res, 39(4), 236-41.